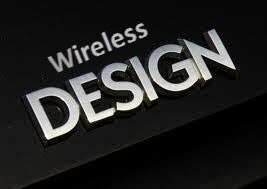 Wireless Clients: Wireless Clients includes the laptops, PC, Mobiles Phone, PDAs and IP phones. These all end devices are the part of access network. Access points: AP provides the wireless access to network. You need to place the access point at the best place to avoid the interference with other access point and to provide the best access to your wireless clients. Network management related to wireless control system (WCS), WCS is the central management tool for design and monitoring of our wireless network. Network Unification: According to Network Unification our WLAN should be able to support the wireless application by offering the security policies, unified services, IPS and manage of radio frequency. Network services are also referring to mobility services and this includes the things like guess access, location services and threat detection services. LWAPP is the standard for WLAN controllers and LWAPP operate at layer-2 and at layer-3. 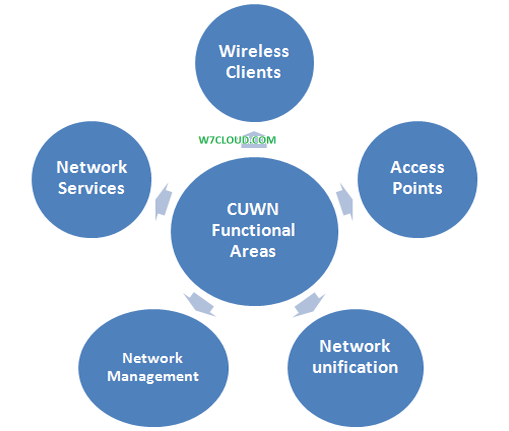 Wireless LAN controllers are very important part of Cisco wireless network and wireless LAN controller is used in combination with the Lightweight Access Point Protocol (LWAPP) to manage the multiple light weight APs. The WLAN controller automatically handles the configuration of anywhere from 6 to 6000 wireless access-points, depending on the model. The concept of LWAPP is we are moving the intelligence away from access point and sharing it with some type of WLAN controller. WLAN controller can handle the intelligence and can implement different policies, control messaging, authentication and operations between the access point and WLAN controller. 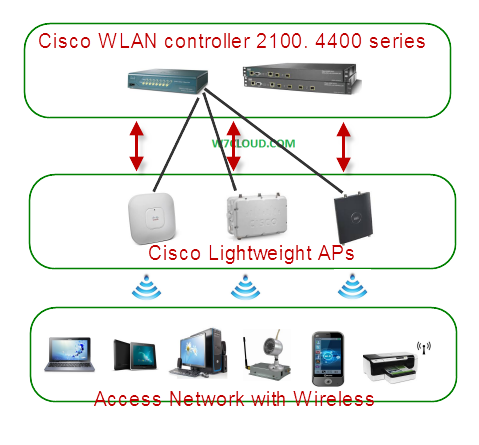 For better understanding of LWAPP please consider the following diagram where we have light weight access points which include indoor or outdoor access points those are handled with the Cisco WLAN controller (Cisco 2100 series and 4400 series WLAN controllers). LWAPP is use for management and control between these lightweight APs and wireless controllers. With split MAC operation data messages are split up in the wireless network, wireless access point communicate with wireless controller using control messages over the wired back bone network and then LWAPP data messages are forwarded to wireless clients. Wireless LAN controller can manage and handle the multiple access points at a time. The AP sends a Layer 3 LWAPP discovery request. All WLCs that receive the discovery request reply with a unicast LWAPP discoveryresponse message. The AP compiles a list of WLCs. 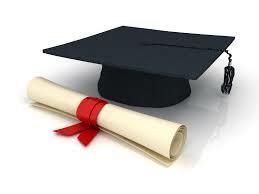 The AP selects a WLC based on certain criteria. The AP validates the selected WLC and sends an LWAPP join response. An encryptionkey is selected, and future messages are encrypted. At the layer-3 we have the LWAPP tunnels which are used between the wireless controller and access points. Messages from wireless controller are send to access point using the UDP port 12223 for control and port 12222 for data message. 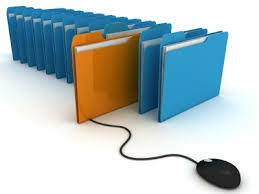 LWAPP can operate in six different modes, for CCDA exam these modes are very important. Local mode:this is the default mode of operation in LWAPP access points. Every 180s the access point spin 60ms on cannel, during this 60ms time period the access point perform the noise measurements, interference and scan for intrusion detection system events. REAP Mode:Remote edge access point mode allow the LWAPP to reside across the WAN link and still be able to communicate with the wireless LAN controller and provide the functionality of regular LWAPP. REAP mode is only supported on Cisco 1030 light weight access points. Monitor mode: Monitor mode is the special feature of LWAPP, this allow LWAPP enabled access point to exclude themselves from dealing with data traffic between clients. Rogue Detector Mode: This is used to monitor the rogue access point, rogue detector’s goal is find and to see all the VLAN in the network because rogue access point is connected to any of VLAN in the network. The switch sends the entire rogue MAC address list to rogue detector and then forward it to wireless LAN controller to compare the MAC address of the clients and if the MAC is matched then it mean that client is on the wired. Sniffer mode: With sniffer mode access point can capture and sniff all the packets and then shadow then to a machine running Sniffer application. You can enable the sniffer mode with the help of airopeek(a third party software). Bridge Mode: this mode operates on Cisco 1030 and 1500 series access points. You can use the bridge mode for point to point connection and bridge connection between the two access points. Interfaces are logical connection to each LAN controller and each interface is configured with an IP address, a default gateway, physical ports, VLAN tagging and a DHCP server. Ports are the physical connection to neighboring switch or router and by default each port is a dot1q trunk port. You may have the multiple ports on wireless LAN controller and these port can also be aggregate with link aggregation. Also each wireless LAN controller have different number of AP support, for example Cisco 2100 series support 6 access point, the 4400 series support 100 APs and wireless services module for 6500 series support 300 access points. Thank you for posting this. I trust that this will be fixed in time for stdtunes arriving in a few weeks. Our incoming freshman is getting a new Mac, and we waited until Lion was released to buy it.